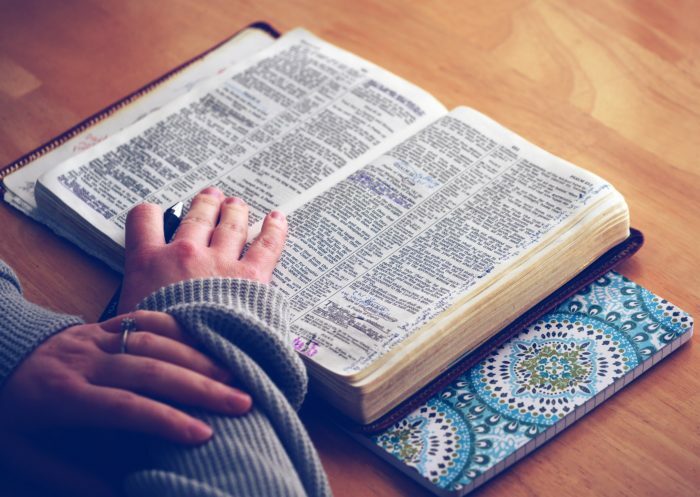 For the last post in the Rock Motherhood Biblically Series, Mariann Foster of Our Start has put together some practical ways we can spend time with God daily in this busy season of motherhood. Because you can’t be your best as a mom without staying plugged into the One who gave you this calling, right? As a mom, I know days can start with a bang before you even climb out of bed. It’s easy to get caught up in all the tasks that need to be done. And you may even forget to spend quality time with the Lord. But spending time with God is the only thing that can give us the energy to make it through our busy days and weeks. 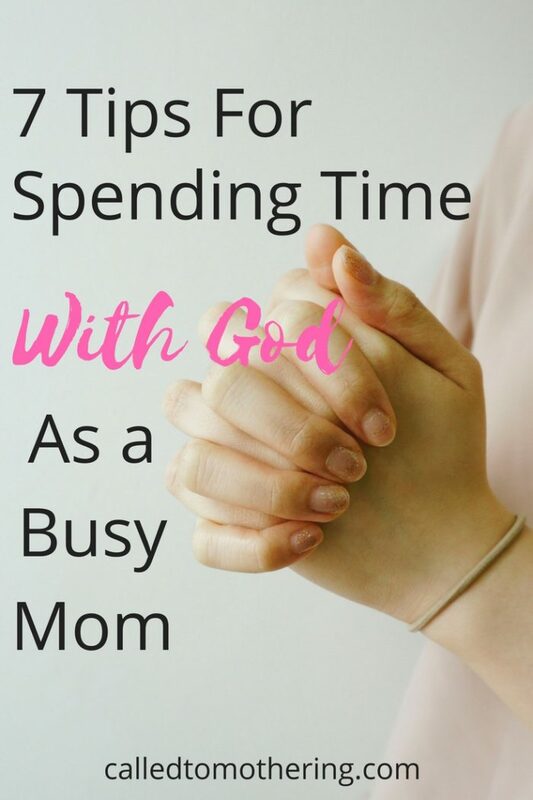 Here are several tips to help you carve out time to spend with God each day and renew your strength as you pour into your children! In the stillness of the morning, you may wake up knowing that when your feet hit the floor, you have things that need to be done immediately. Why get up right then? Try to take time with the Lord in prayer even before you rise out of bed. That way, your mind will be focused on what really matters before the day even starts. Some moms like to buy a devotional book and read that day’s devotions along with scripture every morning. Others like to go directly to God’s Word to begin the day. Whatever way you choose, set aside a time to start your day right with the Lord. There are many ways to be involved with a Bible study, whether it be church affiliated or a study that you do with your child or a friend. You can buy one at a Christian bookstore, online, or sign up for free Bible study emails that you receive each day. However you choose to do it, Bible studies can be just what you need to get on a consistent schedule to be in God’s Word every day. Being with God can happen anytime you choose to set aside time with Him- whether it be gardening, running, sewing, folding laundry, or any other task or activity. I love to run. I feel that my time spent with the Lord while running through His creation can be some of the most amazing moments of my day. From running through a bed of wild mountain flowers to running alongside a flowing river, all of creation reminds me to praise our amazing and creative God. The Lord is the one who gave you your talents and passions, so give them back to Him. Daniel used to get down on his knees and pray at scheduled times throughout the day. Why did he do this? Because spending quality time with God intentionally was the most important part of the day to him. We as moms can be this way, too. If you think about it, we schedule other activities throughout our day- why not schedule in prayer time too? If it takes a reminder set on your mobile device for you to stop and spend time with God at certain times of the day, then do it. Spending time with God along with our kids can become treasured moments. I find opening the Bible and reading from it with my child to be powerful. There are many devotional books that you can buy to do with your children, too. You also never know who you just witnessed to by not being afraid to pray with your family in public. I live on a farm and head out to the barn in the early morning hours and at sunset. This routine happens every day to feed our farm animals. Because I’m often the only human being up at that time, this is a prime opportunity for me to spend with God each day, surrounded by his creation. If there is a daily routine that you manage to do every day alone, ask God to be by your side then. Spend the time in His presence while you go about your normal day! Anytime spent with God is going to be time well spent. Our cups are in need of a continual refilling of the Living Water, so that we can then give to our children from His glorious overflow. It doesn’t matter when you connect with God during the day, just so long as you remember to do it. Mariann Foster is a content writer for OurStart.com, a lifestyle blog for women. They regularly publish content on pregnancy, parenting, motherhood, and marriage. Mariann is a homeschool mom to her daughter, Maria, and a business owner in Parkman, Wyoming. She operates Big Horn Mountain Alpacas which includes 17 alpacas, 2 horses, 1 donkey, 9 livestock guardian dogs, 3 geese, 9 laying hens, 8 runner ducks, 3 cats and 2 angora rabbits. 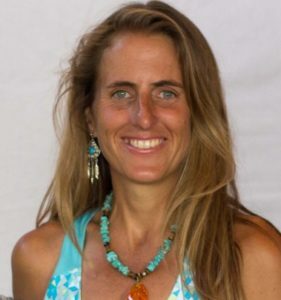 Mariann greatly enjoys the daily farm life and competing in trail races with her daughter. Thanks for all these great ideas! Is it crazy I especially love the idea of scheduling prayer? I try to make it a part of my day, like a continual conversation, but I now want to try to schedule it in and see if it makes a difference! !